During late spring in Japan, the weather is in the sweet spot for bringing a bounty of blossoms out for viewing. It’s hard not to have a little extra joy in your heart. A couple weeks ago, we visited Chichibu for the phlox blossoms and last weekend we headed back for the “heavenly poppies” at Sainokuni Friendship Farm. Enjoy the photos (click any of them to view at a larger size) and watch the video at full size for a couple of special treats. 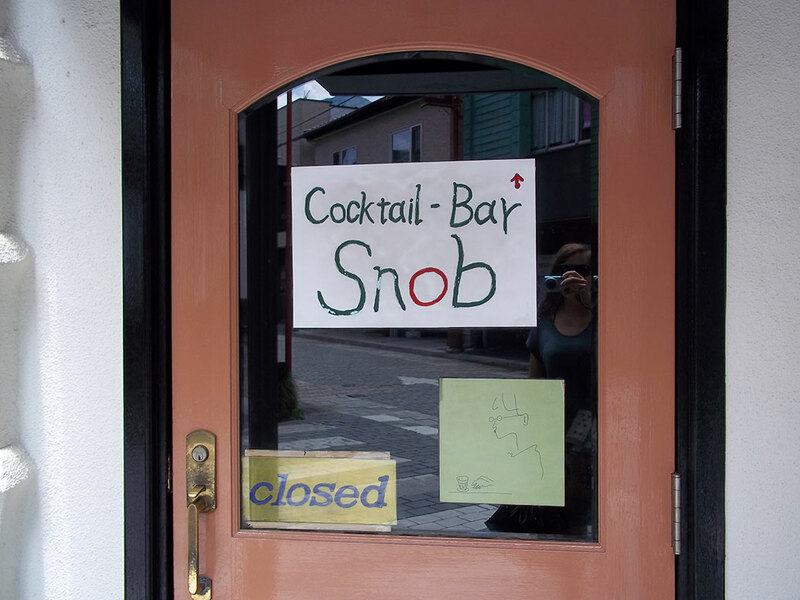 One of those quaint shops, “Cocktail Bar Snob.” Finally a cocktail bar that’s keeping it real! 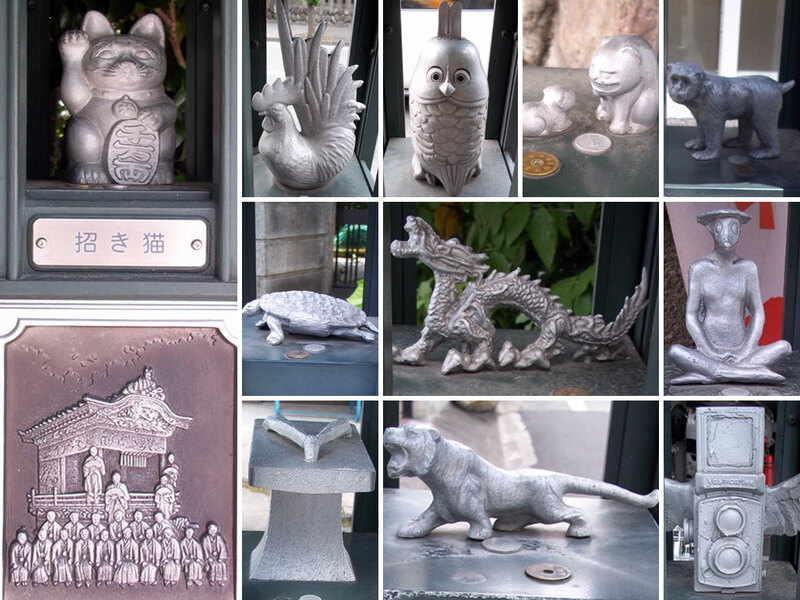 100 of these statues, called kaiun annai ban (開運案内板) or “Good Luck Guide Plates” are located around the area of Chichibu Shrine. 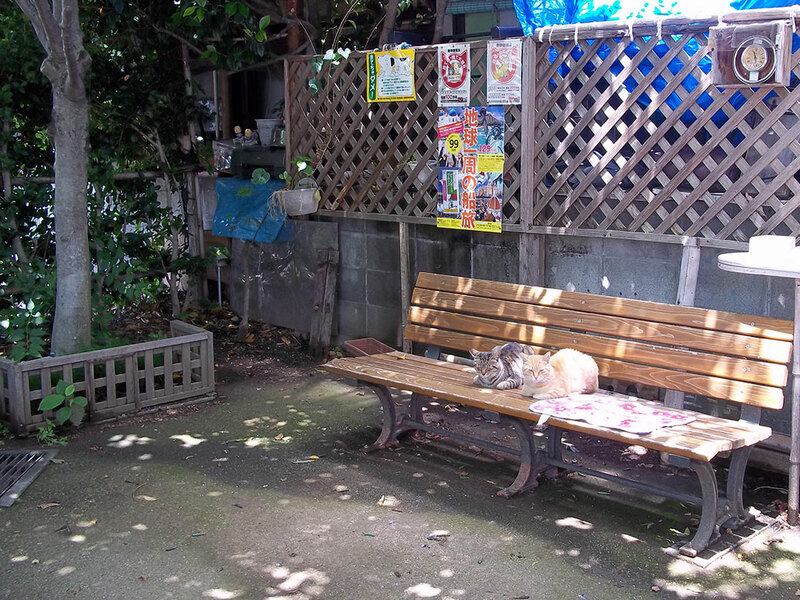 Two cats ruling the roost in a small neighborhood park near Chichibu Shrine. The haiden (prayer hall) of Chichibu Shrine. 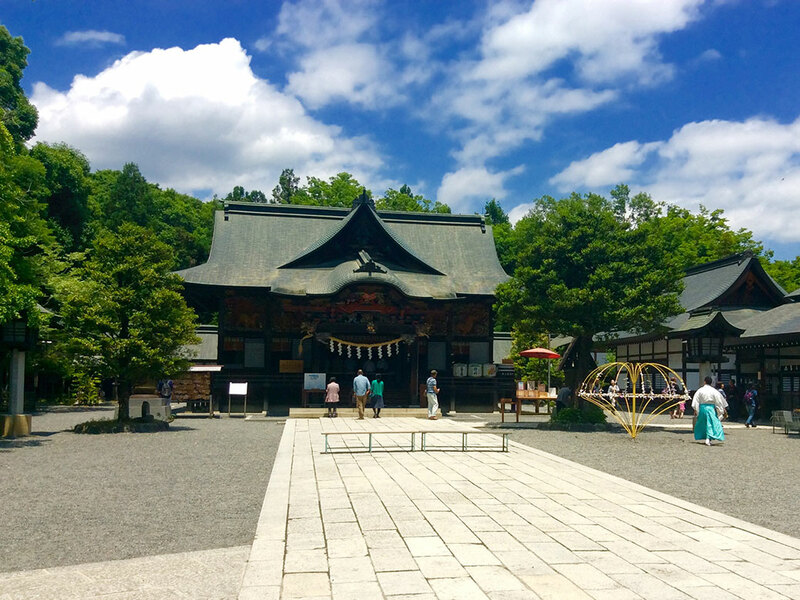 The shrine dates back more than 900 years and was a sacred site during the Edo period. Some of the colorful carvings around the top of Chichibu Shrine. 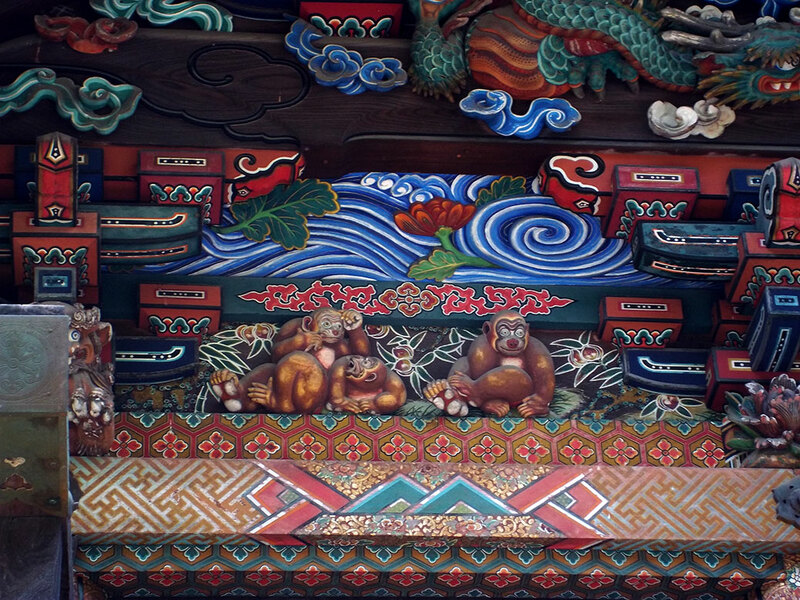 The work is attributed to Jingoro Hidari, an artist from the early 1600s famous for a similar—and much more famous—monkey carving at Nikko Shrine. 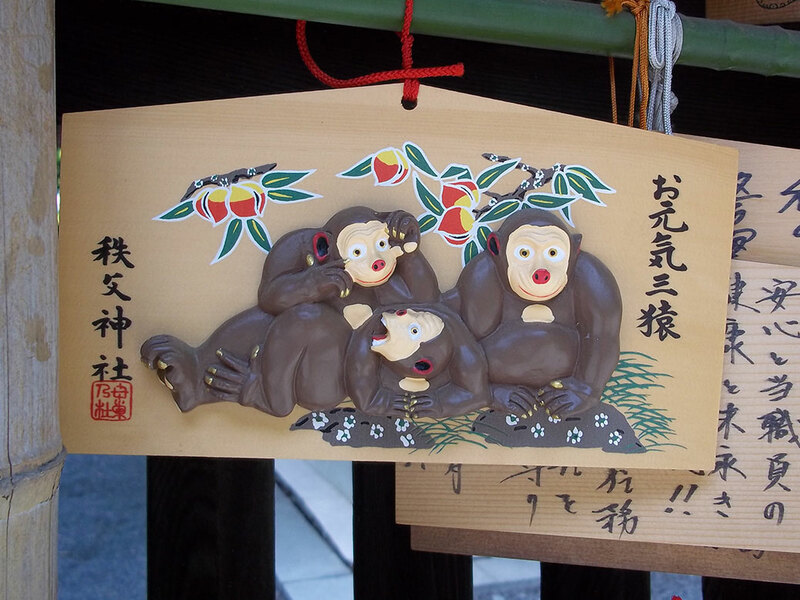 The monkeys get another treatment on an ema, wooden planks on which worshippers at Shinto shrines write their prayers. A ceremony took place in the shrine while we were there and they gathered for a photo after. 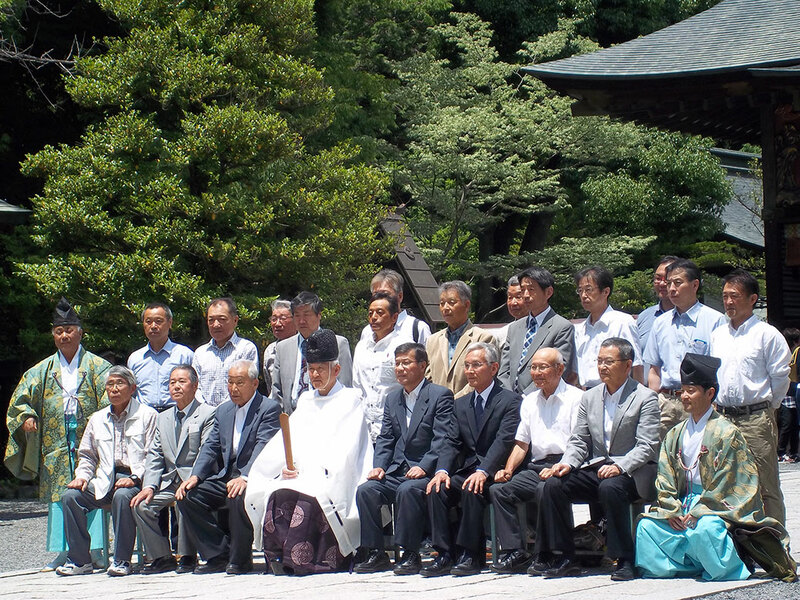 The Shinto priest (kannushi) is seated in the middle. 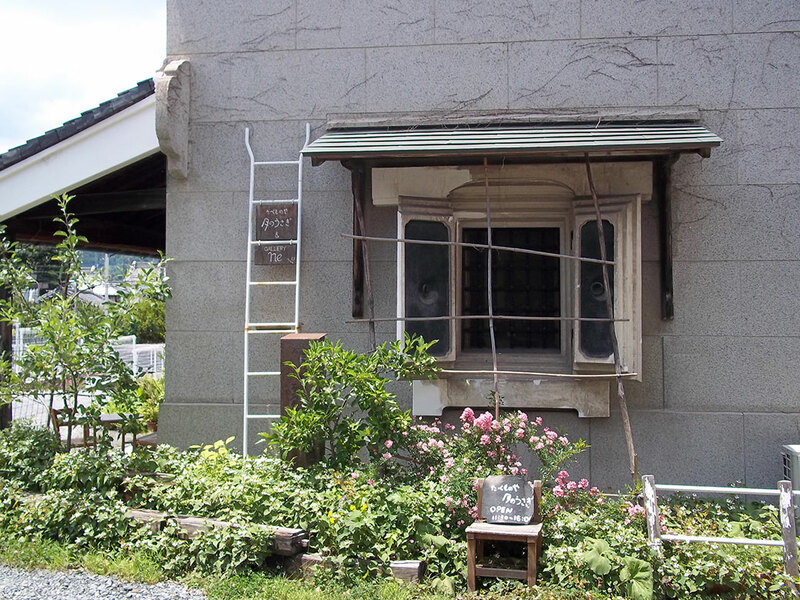 It appeared to be a business group, perhaps receiving a blessing for an upcoming project, a common occurrence in Japan. 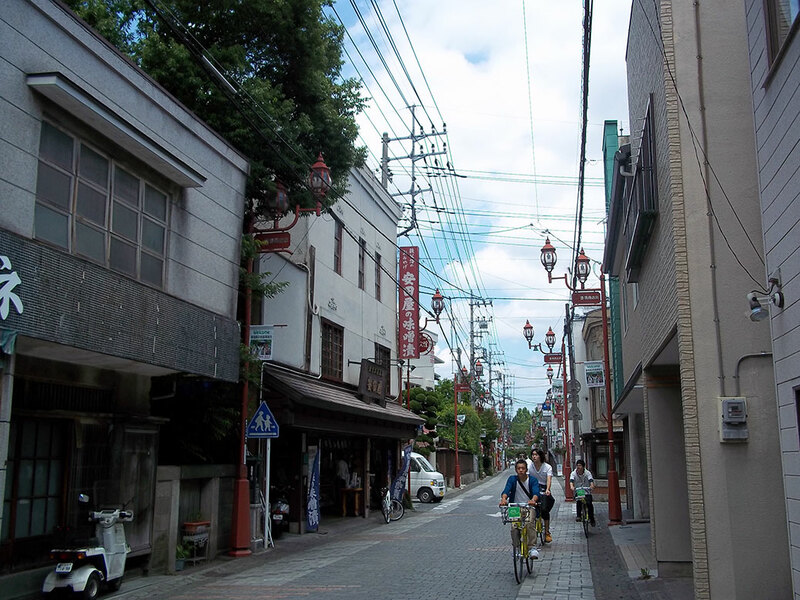 We had lunch at a great macrobiotic place near Chichibu Shrine called Tsuki no Usagi (Moon Rabbit). It was a little hard to find as it was tucked back off the main road, but well worth the effort! 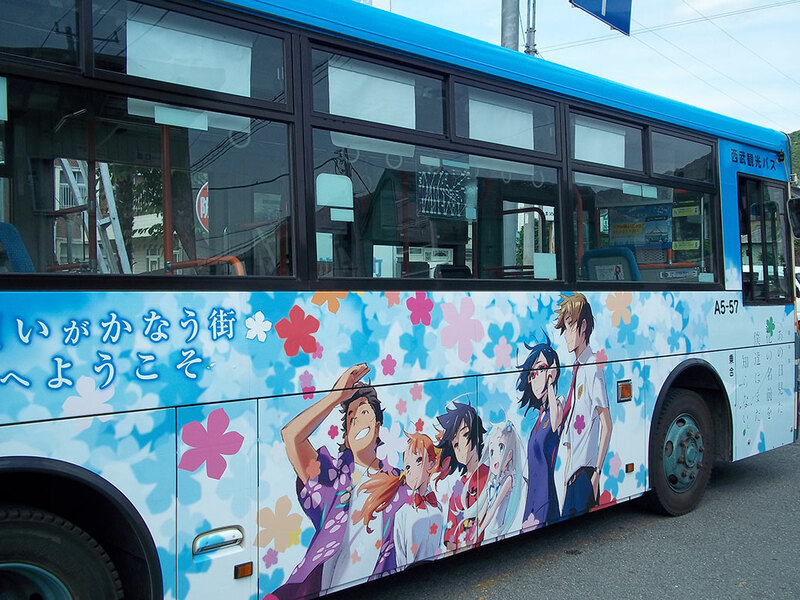 The bus from Minano Station is decorated with characters from a Japanese cartoon (anime) called Anohana that was set in Chichibu. Many visitors to Chichibu come to see the sights from the show. 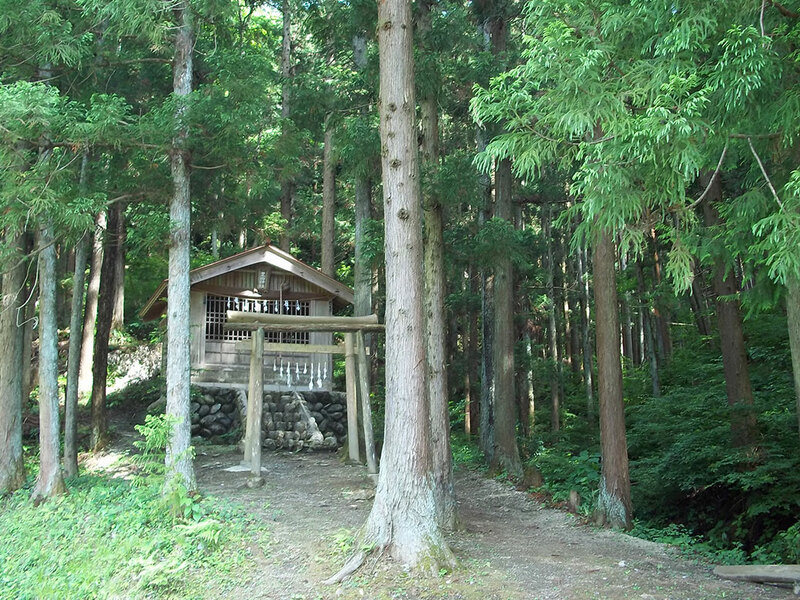 Rikyu Shrine, a small shrine in the woods along the road to the poppy fields. Shuttle services to the fields ended the weekend before our visit, so we got a nice 2.5 KM walk up the hill to see them. 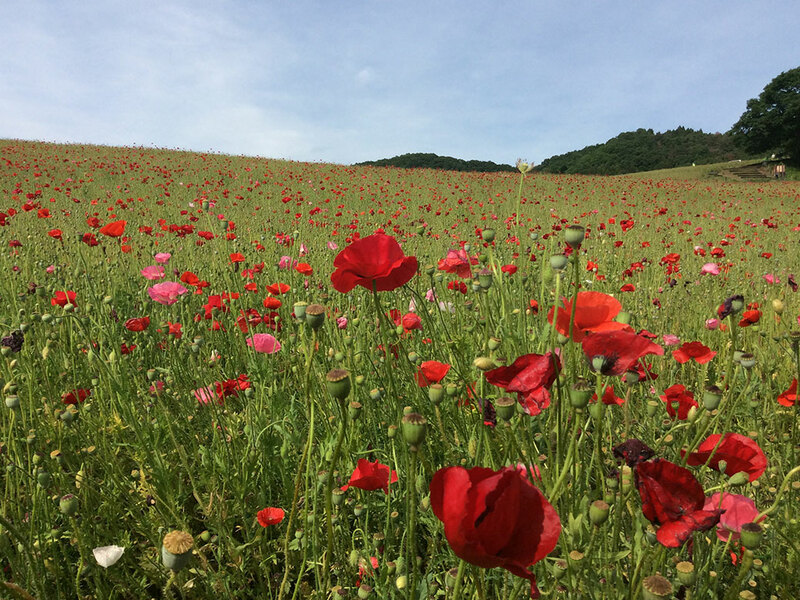 The poppy fields of Sainokuni Friendship Farm. Click the photo for a larger image. The poppy fields of Sainokuni Friendship Farm. The backpack footage – how very Andy Warhol of you. Yeah, I want to see the Director’s Cut. Good job with the GoPro Robert! It’ll be out on BluRay and Digital Copy this fall! Picked up a head strap for it, which allows me to use my head as a gimbal. Still a little bouncy on the walking shots, but a lot smoother when I’m just trying to look at stuff. Very entertaining. 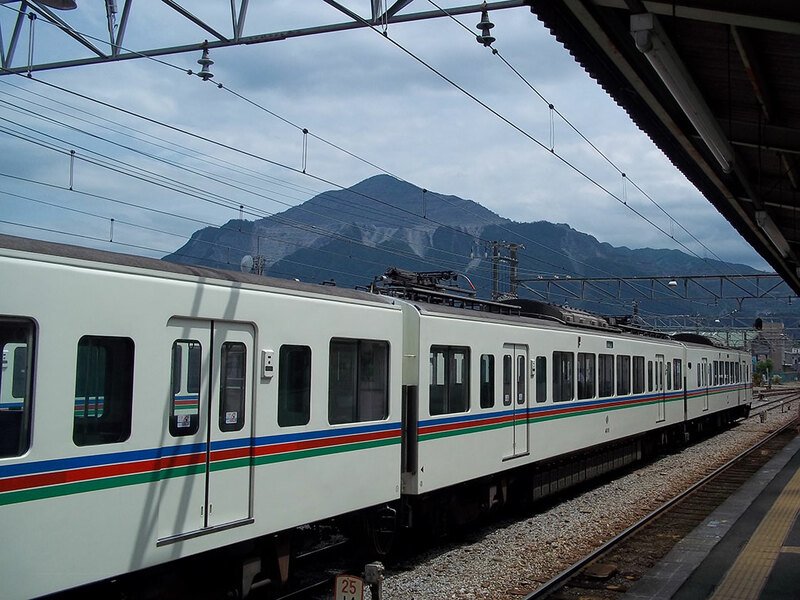 How long are you in Japan? I was waiting to see one of you asleep in the poppy fields. Great job! I was waiting to see one of you asleep in the poppies. Thanks Greg! If we had to walk any further, we might have used those poppy fields for a little nap!